RJF Homes has built more than 1,300 homes in the past 40 years. This latest project was designed exclusively to meet the needs of the over 55 that are seeking a no hassle, leisure lifestyle at an affordable price. This is the premier 55+ condominium neighborhood for the greater Plymouth area. Just one visit will show you why. Request a complete packet of information about Tara Woods. 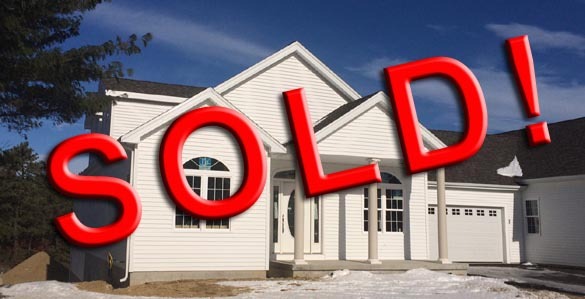 Our reservation process is quite simple and takes into consideration that you may have to sell your present home before you proceed. Monday 11:30 a.m. to 3:00 p.m.
Wednesday 11:30 a.m. to 3:00 p.m. HURRY! ACT NOW BEFORE THEY ARE GONE! Luxurious, under construction, brand new two (2) bedroom, two (2) full Bath 1,750 s.f. townhouse . This unit has a Full walk out basement to quiet back yard. Still time to pick all your colors and truly make this your home. This unit boasts all the upgrade features we offer in a Tara Woods home. Elegant Oak raised panel door kitchen cabinetry, granite countertops in kitchen & baths. Kitchen features high end appliances and room to entertain. Other attractions to this unit include a gas log fireplace, quality Hardwood floors in great room and dining room, tiled floor in baths and kitchen. Efficient forced hot air LP gas heat and central air conditioning adds to the comfort of this beautiful home. A sun filled den completes the main floor along with a first floor laundry room. The elevated 12' x 24' rear deck, built with totally maintenance free materials, sits over a private rear yard, offering the most for your outdoor living needs. There are many more features, too numerous to list, in this stunning, quality built RJF home. Please call our office or visit our model home for your showing of this truly magnificent home and to learn everything that "Tara Woods" has to offer the over 55 active adult. Only "TWO" units left so act now!! Luxurious, under construction brand new two (2) bedroom, two (2) full Bath 1,750 s.f. townhouse . This unit has a Full walk out basement to quiet back yard. Still time to pick all your colors and truly make this your home. This unit boasts all the upgrade features we offer in a Tara Woods home. Elegant Oak raised panel door kitchen cabinetry, granite countertops in kitchen & baths. Kitchen features high end appliances and room to entertain. Other attractions to this unit include a gas log fireplace, quality laminate floors in great room and dining room, tiled floor in baths and kitchen. Efficient forced hot air LP gas heat and central air conditioning adds to the comfort of this beautiful home. A sun filled den completes the main floor along with a first floor laundry room. The elevated 12' x 24' rear deck, built with totally maintenance free materials, sits over a private rear yard, offering the most for your outdoor living needs. There are many more features, too numerous to list, in this stunning, quality built RJF home. Please call our office or visit our model home for your showing of this truly magnificent home and to learn everything that "Tara Woods" has to offer the over 55 active adult. Construction is underway on the only "Stand Alone " unit the "Plimouth" which is also the final unit to be built in Tara Woods. Luxurious, brand new two (2) bedroom, two (2) full Bath 1496 s.f. townhouse with oversized Two Car garage . 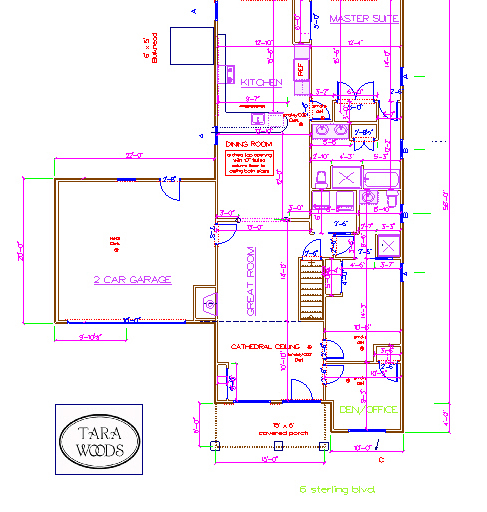 These units boast all the upgrade features we offer in a Tara Woods home. Elegant Oak raised panel door kitchen cabinetry, granite countertops in kitchen & baths. Kitchen features high end Maytag Stainless Steel appliances and room to entertain. Other attractions to this unit include quality hardwood floors in great room and dining room, tiled floor in baths and kitchen. Efficient forced hot air LP gas heat and central air conditioning adds to the comfort of this beautiful energy efficient home. A sun filled den completes the main floor along with a first floor laundry room. The 10' x 24' rear deck, built with totally maintenance free materials, sits over a private rear yard, offering the most for your outdoor living needs. There are many more features, too numerous to list, in this stunning, quality built RJF home. Still time to Pick your own colors and styles to decorate this house to suit your tastes. Please call our office to learn everything that "Tara Woods" has to offer the over 55 active adult. 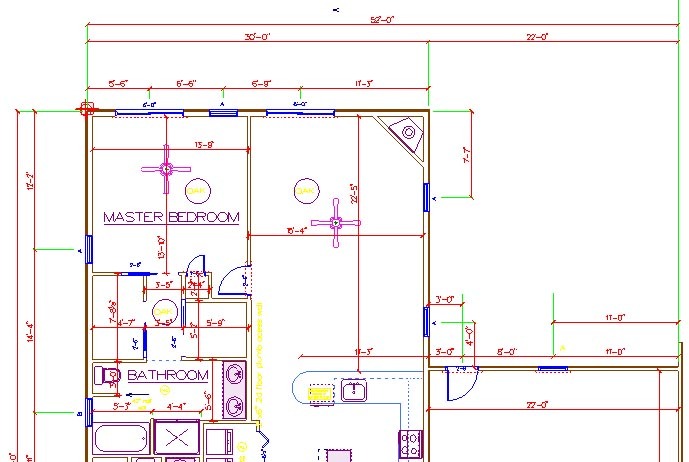 Construction is underway on this "Custom Brentwood" Unit. Luxurious, brand new one (1) bedroom, one and a half baths (1-1/2) 1,750 s.f. 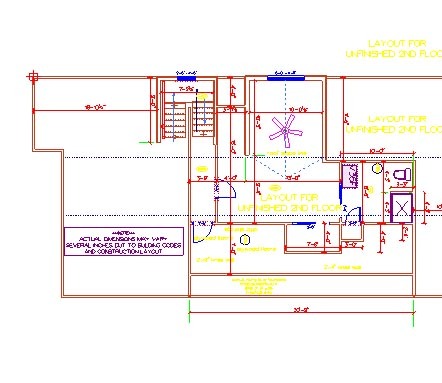 townhouse with unfinished second floor for another bedroom and full bath. and an oversized two Car garage . This unit features a breathtaking cathedral ceiling in the foyer and Living room along with an open floor plan makes this a very spacious home. This unit boasts all the upgrade features we offer in a Tara Woods home. Elegant maple raised panel door kitchen cabinetry, granite countertops in kitchen & baths, Gas log fireplace in family room. Kitchen features high end Maytag Stainless Steel appliances and room to entertain. Other attractions to this unit include quality hardwood floors in Family room, Living Room and dining room, tiled floor in baths and kitchen. Efficient forced hot air LP gas heat and central air conditioning adds to the comfort of this beautiful energy efficient home. A sun filled Living Room along with a first floor laundry room adds to the comfort of this home. The 12' x 24' rear deck, built with totally maintenance free materials, sits over a private rear yard with full walk out basement, offering the most for your outdoor living needs. There are many more features, too numerous to list, in this stunning, quality built RJF home. Still time to Pick your own colors and styles to decorate this house to suit your tastes. Please call our office to visit this home, or for a showing of our magnificent homes and to learn everything that "Tara Woods" has to offer the over 55 active adult. Construction is underway on two "Tisbury" units. Luxurious, brand new two (2) bedroom, two (2) full Bath 1,750 s.f. townhouses with oversized Two Car garages . 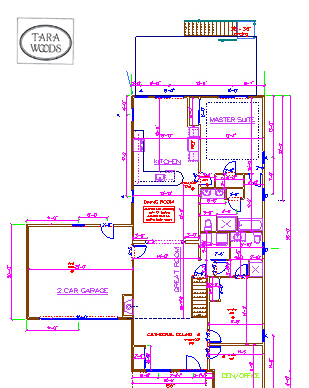 These units boast all the upgrade features we offer in a Tara Woods home. Elegant Oak raised panel door kitchen cabinetry, granite countertops in kitchen & baths. Kitchen features high end Maytag Stainless Steel appliances and room to entertain. Other attractions to this unit include quality hardwood floors in great room and dining room, tiled floor in baths and kitchen. Efficient forced hot air LP gas heat and central air conditioning adds to the comfort of this beautiful energy efficient home. A sun filled den completes the main floor along with a first floor laundry room. The 12' x 24' rear deck, built with totally maintenance free materials, sits over a private rear yard, offering the most for your outdoor living needs. There are many more features, too numerous to list, in this stunning, quality built RJF home. Still time to Pick your own colors and styles to decorate this house to suit your tastes. Please call our office or visit our model home for your showing of our magnificent homes and to learn everything that "Tara Woods" has to offer the over 55 active adult. Two new Units just starting Construction Now. 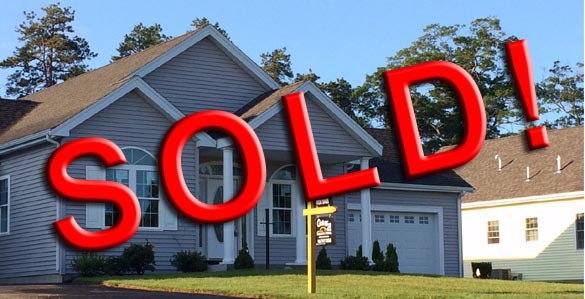 Only 4 units remain, so Hurry before "Tara Woods" is sold out! Construction is underway on two "Carrington" units. Luxurious, brand new two (2) bedroom, two (2) full Bath 1,750 s.f. townhouses with oversized Two Car garages . 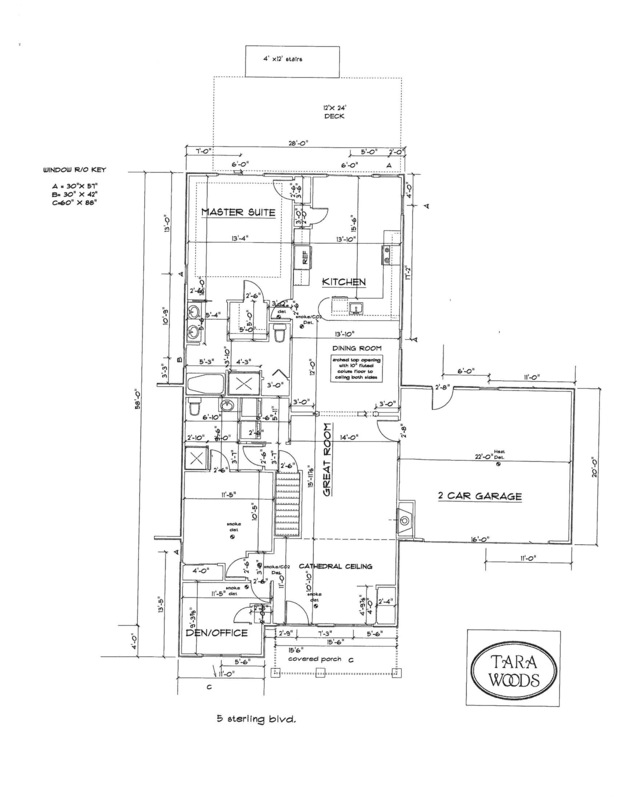 These units boast all the upgrade features we offer in a Tara Woods home. Elegant Oak raised panel door kitchen cabinetry, granite countertops in kitchen & baths. Kitchen features high end Maytag Stainless Steel appliances and room to entertain. Other attractions to this unit include quality hardwood floors in great room and dining room, tiled floor in baths and kitchen. Efficient forced hot air LP gas heat and central air conditioning adds to the comfort of this beautiful energy efficient home. A sun filled den completes the main floor along with a first floor laundry room. The 12' x 24' rear deck, built with totally maintenance free materials, sits over a private rear yard, offering the most for your outdoor living needs. There are many more features, too numerous to list, in this stunning, quality built RJF home. Pick your own colors and styles to decorate this house to suit your tastes.